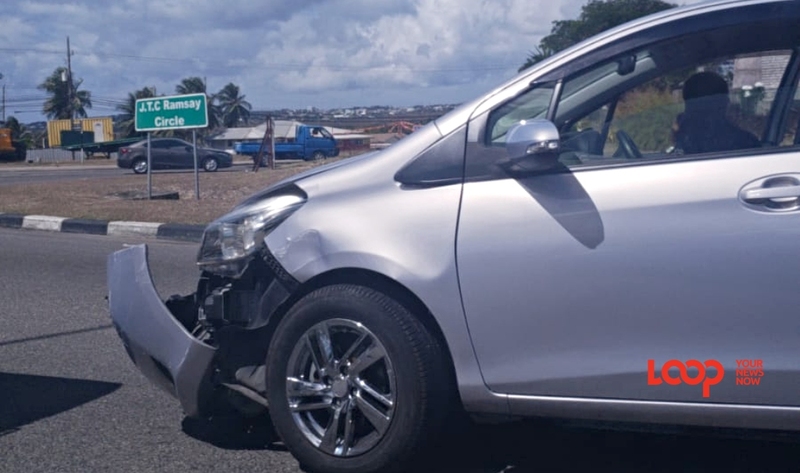 Car involved in accident at the J.T.C Ramsay roundabout. A two-vehicle accident is causing some traffic near Sky Mall in Haggatt Hall. 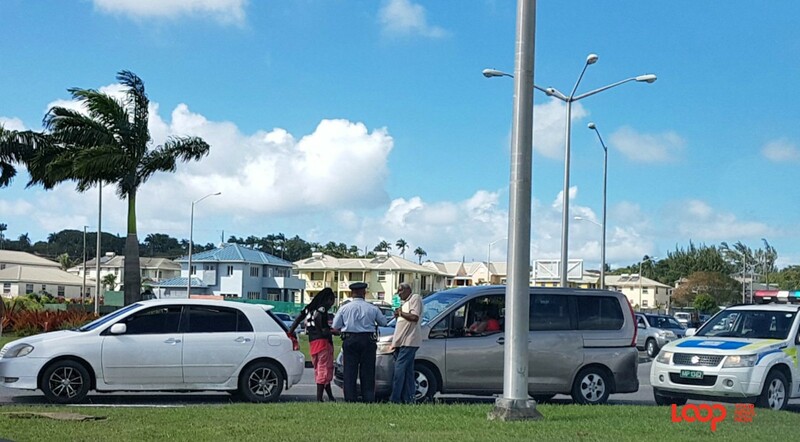 The car and van crashed at the J.T.C Ramsay roundabout, more commonly known as the Bussa roundabout. 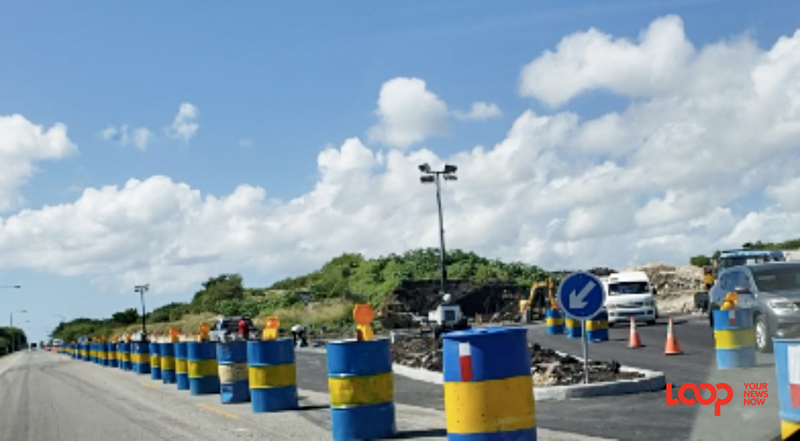 The car is blocking a segment of the inside lane around the roundabout. 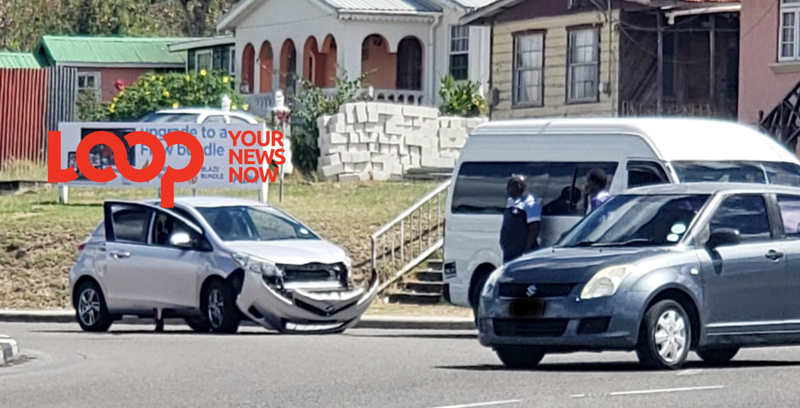 The van is along the outside lane when you exit from the Mapp Hill-Haggatt Hall lane heading into the roundabout towards to exit to the Pine via the Errol Barrow Highway. 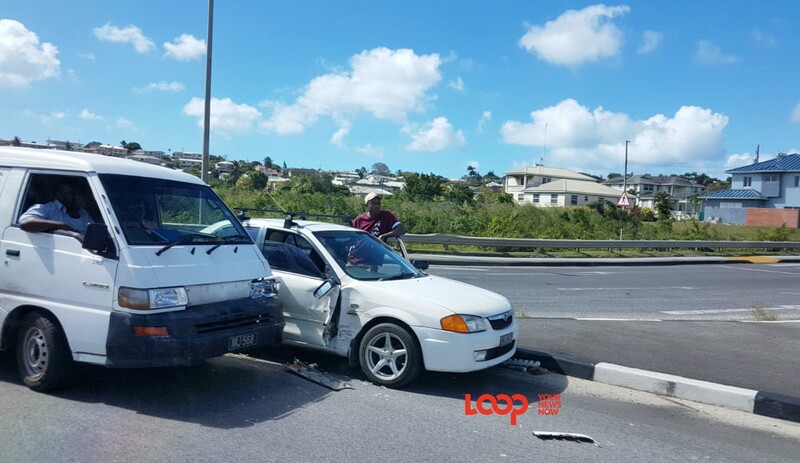 This accident occurred moments ago, just before 1:00 pm, today, Thursday, January 31, 2019. The entire front bumper is off the car involved in the accident.